Charming and conscientiously maintained villa with responsive and thoughtful hosts. I would recommend this property to couples and families alike. We thoroughly enjoyed our stay at the villa which is based in a brilliant setting in Sainte Maxime. We comprised two families with four children under 10 - the pool was large and has a great deep end so hours of fun for the kids. The hot tub was also a major added bonus. Outside the villa there were a number of different areas to chill and relax - all made for a great stay. We were also lucky enough to be there on 15 August - the villa provides a brilliant view for the awesome annual Sainte Maxime fireworks. Very impressive. A big thanks to Thierry & Chantal who own the property - great with recommendations (babysitting, taxis, boat trips to) and always ver6 responsive. A great stay all round and somewhere we would thoroughly recommend. It was an amazing property, which made for an amazing holiday. The owners were also extremely helpful and helped arranged Taxi's, boats to St Tropez and even a visit to the Dr.
We will a 💯 % go back soon. Wonderful week in the beautiful Villa Zen. Very well equipped villa,spacious enough for the whole family.Panoramic views. Excellent communication with Thierry ( the owner ) and Sandrine the manager who met us on arrival.Plenty of places to visit but once at the Villa you really don’t want to leave .A car is a must and pool heating ( at an additional cost) is well worth it. 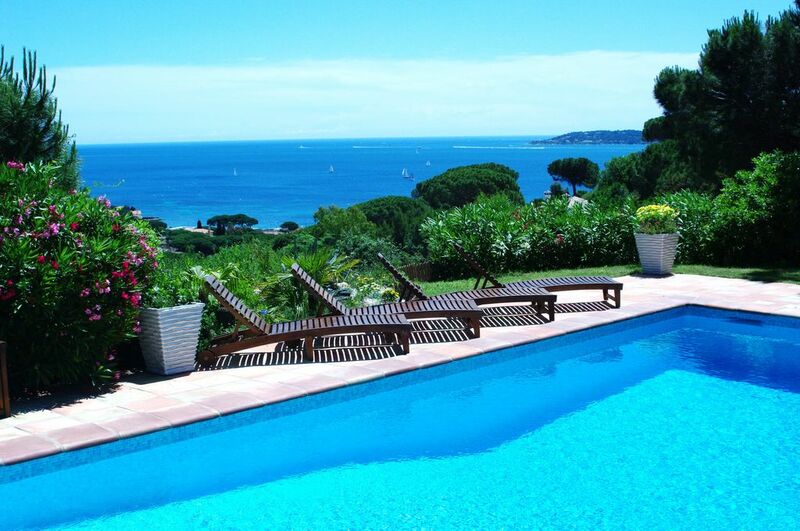 We have rented several villas on the Cotes d’azur and this is definitely one of the best. Beautiful and well-equipped villa in a wonderful location. Beautiful design inside and out. Lovely views over the bay. Very responsive owner and local staff. The option heating is very appreciated by our tenants and allows you to have a water between 27 °C and 30 °C. To go to St Tropez, use the shuttle since the harbour of Ste Maxime every 1/4 an hour. Beach of Croisette, Tennis, club of oar and bridge at the bottom of the Domain.